Since 1983, Critter Control has been a leader in providing eco-friendly bird control. Our approach to bird control puts us a notch above the competition. We use humane methods, like live trapping and removal, exclusion, and habitat modification, to keep your family as well as animals safe from harm. We believe it’s our duty to practice environmentally-responsible wildlife management. Every creature we encounter, though it may be a nuisance to your home or business, still plays an important role in the preservation of our unique eco-system. That’s why we hire the leading experts in the field to assist us in our mission of green pest control. Our staff is comprised of biologists, zoologists, anti-cruelty personnel, and animal control officers, all with the express goal of performing wildlife management safely and efficiently. 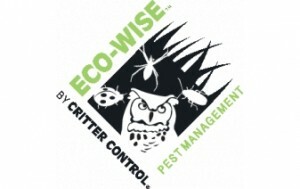 Our eco-friendly pest control techniques call for innovative solutions to your animal control problem. If you’re experiencing issues with wild animals, from squirrels nesting in your chimney to bats living in the attic, call our team of Certified Wildlife technicians today. We’ll work with you to create a unique removal plan tailored to your problem and budget. And we don’t stop at animal removal; our team is also trained to prevent future infestations and repair any damage wild animals cause. If you’re ready to schedule a consultation, call our office today.